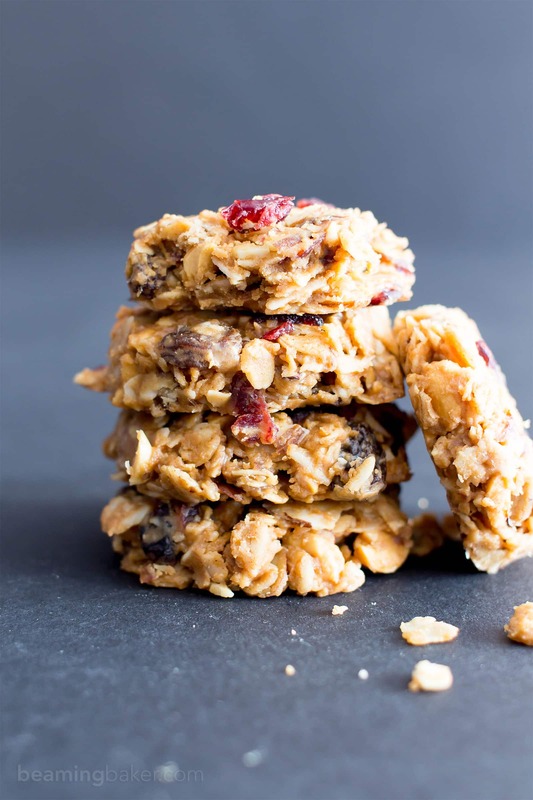 No Bake Gluten Free Peanut Butter Fruit & Nut Cookies (V, GF, DF): an easy, one bowl recipe for no bake peanut butter cookies bursting with dried fruits and nuts! Protein-Packed, Vegan, Gluten-Free, Dairy-Free. Good morning! 🙂 I just literally wrote “Happy Monday,” then crossed it out because apparently reading such a thing (make that an allegedly false thing) makes certain folks even grumpier. Let’s just say I may or may not have friends who have a bad case of the Mondays. O-kaaaay… I might be part of that group, too. Let’s be honest. So what’s a gal to do when those Mondays just keep, er, coming? Well, COOKIES!! 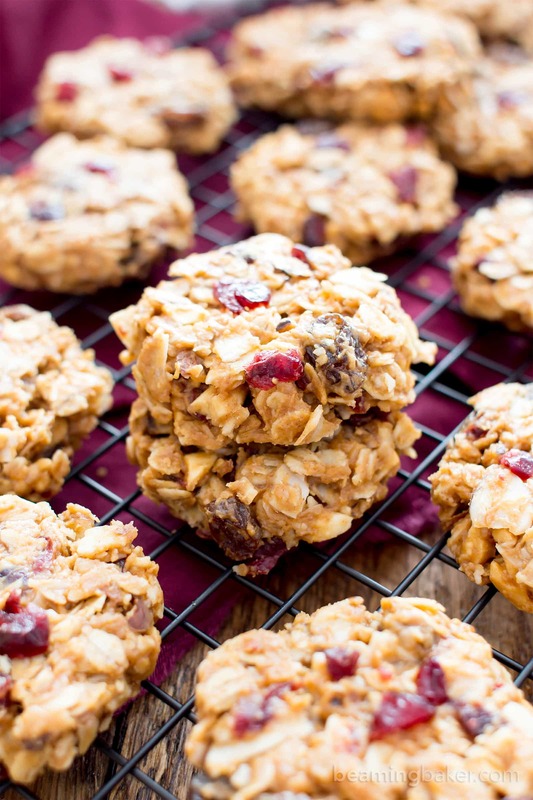 Make that No Bake Gluten Free Peanut Butter Fruit & Nut Cookies. Take that, Monday! Take that, sir! Ya know, my case of the Mondays really isn’t even that bad this week. And I have PB2 to thank for that. 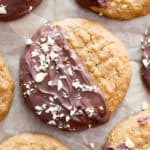 Before I get all rambly, as is my M.O., I’d like to dedicate these peanut butter cookies to PB2. Because, ya know… peanut butter!! In case you missed it, in my last post, I mentioned a new addition to our family—wait, before you get too excited, it’s not Erik and mine’s, it’s my sister Jenny’s! Can you imagine me being pregnant and not even saying one word to you guys and just popping the sucker out? So if you’ve been following along with BB for awhile, you know about PB. PB is the nickname for my recently turned four-year-old nephew Dylan. He’s the pride and joy of our entire family, and a delightfully sassy little sir. He’s basically a fast-moving ball of energy that’s always bouncing off the walls, calling people funny names (like Mr. Tooty) and just growing up so fast. He’s the first grandchild in the family, first little nephew for all of us aunties, and has basically opened all of our eyes to how important it is to make time to slow down, live life and make time for hugs (my fave, of course). Here’s a little more about him in this post, this one and this one. 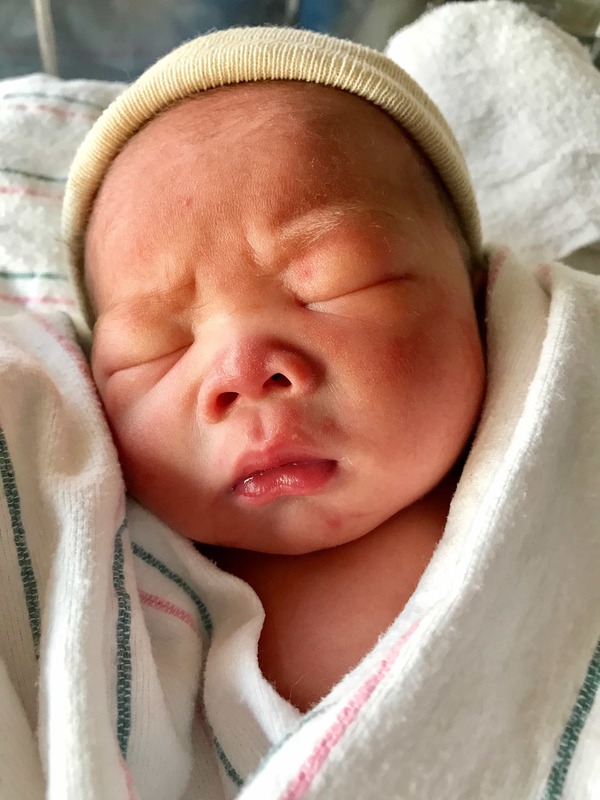 Anyway, recently, we were SO excited to welcome PB2 aka/real name: Kai to the world. Isn’t his name amazing? It’s so beautiful and unique. I mentioned this in the other post, but, while Erik and I were frantically finishing up work so we could go see Kai, his dad sent a pic over. And I just started bawling. Like a baby. Erik teared up big time. Like red eyes and everything. It’s just so crazy to think that this time, just four years ago, Kai’s big bro came into the world, completely changing our lives. And now that PB2 is out, and looking exactly like his brother did as a wee one, I can’t help but reflect. Like, where were we 4 years go? How did we feel about everything? Where were we in our careers, our relationships, our whole life-progess chart? Intense, I know. But I’m pleased to report that things are so much better. 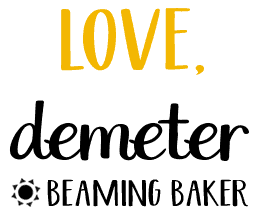 When PB was born, we’d just starting recovering from family tragedy and plenty of heartbreak. It was like PB came into this world as a beacon of hope, a signal that everything would change, for the better. And thank goodness, it DID. Dylan made us laugh again, smile again, feel light again. And now that PB2 aka Kai is here, we can’t wait to show him this bright new world. There will be so many firsts, so many new, fun embarrassing stories to share (you can’t wait, I’m sure), so much joy. So will you join me in welcoming Kai? 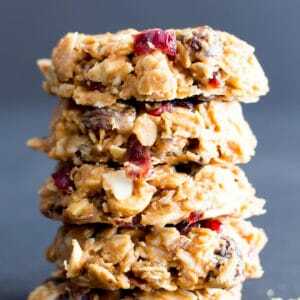 🙂 I hereby dedicated these No Bake Gluten Free Peanut Butter Fruit & Nut Cookies to PB2. We love you, little sir. Now let’s talk about the recipe! 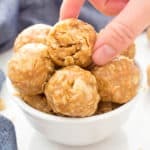 These no bake delights are one of my current biggest faves! Erik’s already talking about making batch after batch. You know, recently, he’s really gotten into making my recipes. He gets a bit nervous operating the kitchen equipment (think: whisk and spatula lol), and is super careful about measuring out every ingredient. Once he’s done, he’s like a proud child! Chest puffed up, biggest smile you’ve ever seen on his face. Glowing like the sun, I like to say. And when I bite into that cookie/muffin/bar and grin, he jumps up and down and wiggles his eyebrows like, see!!! I knew I could do it!! And I’m like, of course you can!!! 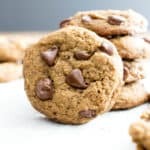 What no bake cookies would you like to see me make next? 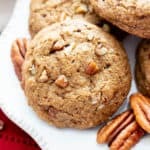 Gluten Free No Bake Peanut Butter Fruit & Nut Cookies (V, GF, DF): an easy, one bowl recipe for no bake peanut butter cookies bursting with dried fruits and nuts! 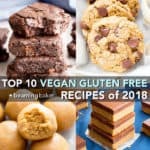 Protein-Packed, Vegan, Gluten Free, Dairy-Free. 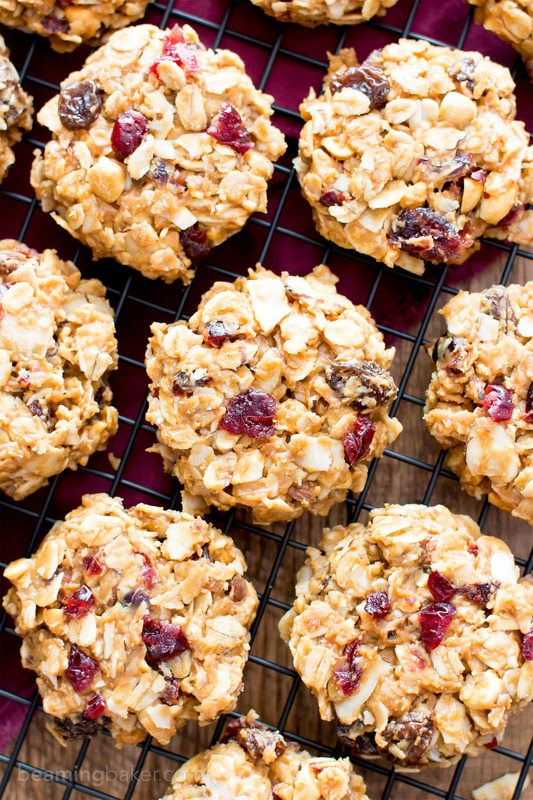 In a large bowl, stir together the dry ingredients: oats, coconut, almonds, peanuts, cranberries and raisins. Stir until well mixed. Add peanut butter and maple syrup. Stir and fold until thoroughly combined and thickened, like cookie dough. 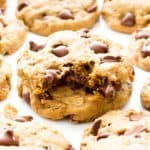 Using a 2-tablespoon cookie scoop, scoop and drop balls of cookie dough onto the prepared baking sheet, evenly spaced apart. 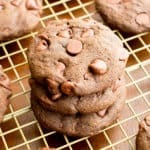 Using a fork, flatten cookies to desired thickness. 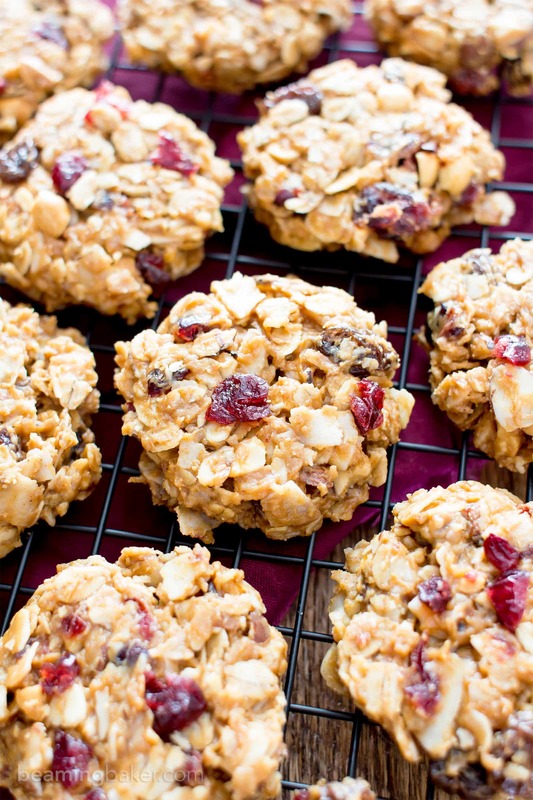 Optionally, press raisins and cranberries into the tops of each cookie. 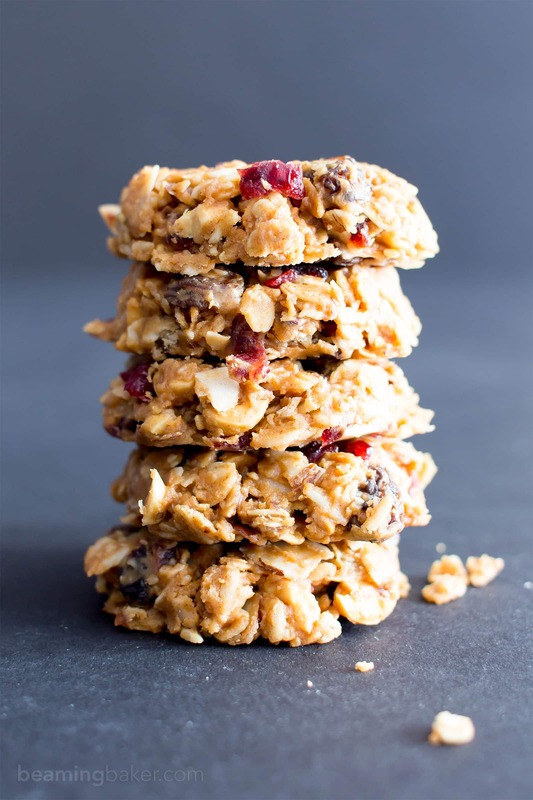 - Adapted from my No Bake Cherry Chocolate Chip Chia Energy Bites and my 3 Ingredient No Bake Peanut Butter Oatmeal Cookies. - Freezer instructions: store in an airtight, freezer-friendly container in the freezer for 1-2 months. Allow to thaw for 5 minutes before enjoying. 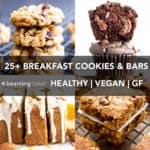 - More Cookie recipes (all v, gf, df): no bake peanut butter coconut oatmeal cookies, trail mix cookies, double chocolate chip oatmeal cookies. Hello from Providence (the geographical location not the concept), Your posts are always a joy to read, you weave the light and dark strands of your life so deftly together. Thank you. I may have teared up at the sight of that freshly born perfect little baby Kai. Had a chuckle at reading a recipe and then seeing your nephew’s name is Kai. In Maori the word kai means food. It’s quite common for kiwis (both Maori and Pakeha which is the word for non Maori kiwis) to say they are grabbing some kai, or popping out for some kai. So you can give Kai some of your kai when he’s old enough. Am off to try some of your awesome looking recipes now … DD15 is home sick from school and spotted the 4 ing. PB bars so into the kitchen I go to bring a smile to her face. You could hear the brain screaming “WAIT, IT SAYS NO BAKE…… GO BACK ,” lol. Ahhh I love no bake. Love it , Love it ,Love it! 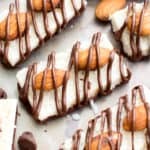 Thank you for sharing , can’t wait to make these today. Easy and delicious! Will make these often. 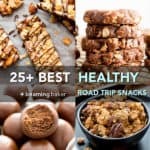 The two best words when it comes to healthy snacking! 😉 So glad to hear you liked these, Gloria. Enjoy!